Endless Love - 14K Yellow Gold - Ring Size 7.5 - 8.0 was added to your cart. 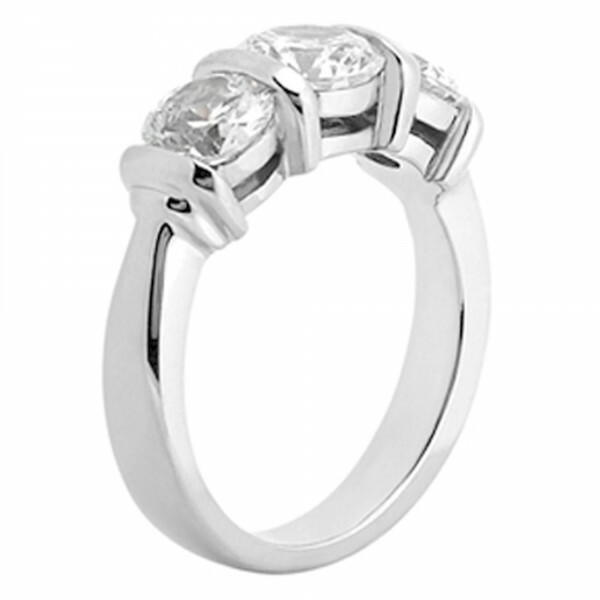 This comfy, uncluttered ring combines the vivacious spark of life's best moments with the gentle calm of complete peace. 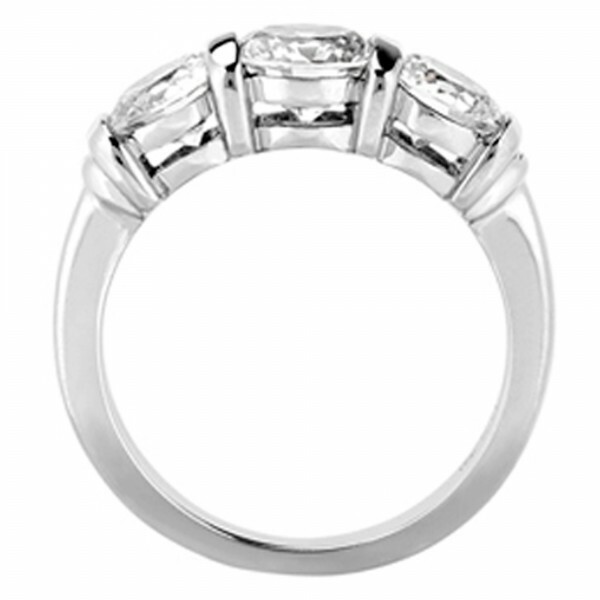 Part of our multi stone engagement ring collection, this low cost, three Round Brilliant Diamond Simulant and an unmarked band are all that's needed, set in a low, smooth bar setting to reduce snagging and space the Diamond Simulants evenly for a more easygoing look. 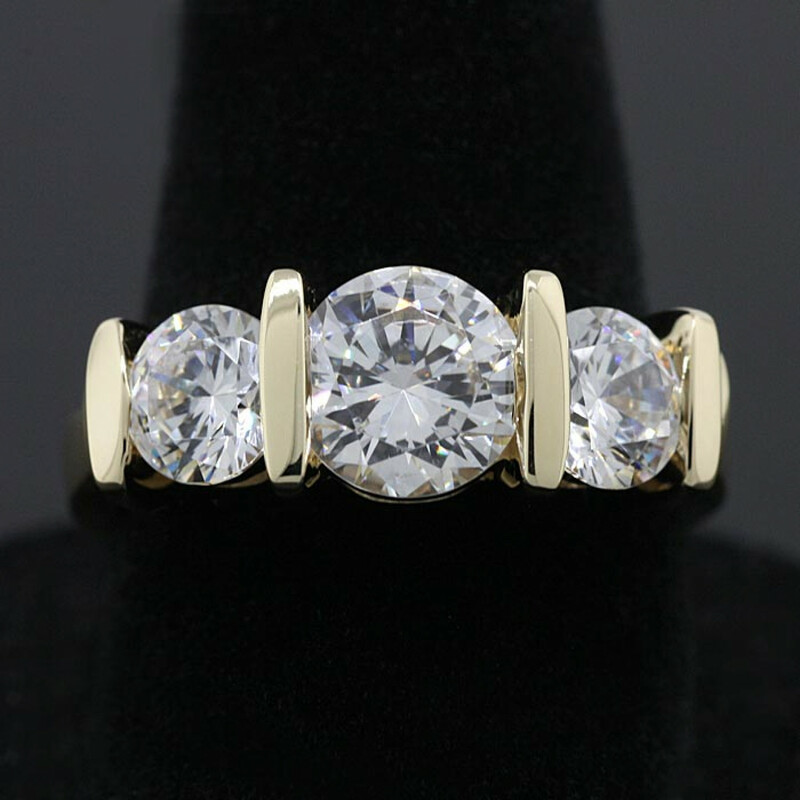 Although shown in white gold, this ring come in 14k yellow gold.